Since 2006, HomeMD Inspection Services has been providing full service home inspections, environmental inspections including pest inspections, radon and mold testing – thermal imaging, and energy audits. HomeMD also is an authorized provider of RecallChek, the industry’s first appliance and major systems’ recall check reporting software. Robb Johnson, owner and lead inspector of HomeMD Inspection Services, oversees the company’s day-to-day inspection services. 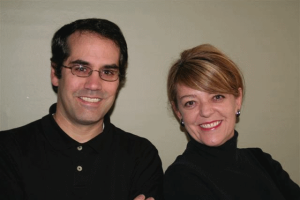 Together with his wife and business partner, Sharon, HomeMD Inspection Services brings over eighteen years of experience in real estate, construction, renovations and remodels, and exceptional customer service. The company’s business model was developed to position the company as the benchmark in the industry by providing a wealth of experience and knowledge through their understanding of how a home should properly function. The commitment to continuing education, professionalizing the industry, and recognizing the need for better communications and technology, helps HomeMD Inspection Services provide a service to our clients that is topnotch. HomeMD brings a wealth of experience and knowledge to the industry through their understanding of how a home should properly function, the safety of the home, and the overall health of a property. 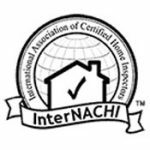 Our commitment to continuing education, professionalizing the industry, and recognizing the need for better communications and technology, helps HomeMD Inspection Services provide a service to our clients that is topnotch. Professionally, Robb serves as a board member on the KBHI (Kentucky Board of Home Inspectors), is licensed by the State of Kentucky, is a member of the InterNational Association of Certified Home Inspectors (InterNACHI), a member of the Kentucky Real Estate Inspectors Association (KREIA), and a local affiliate member of the Greater Louisville Board of Realtors (GLAR). 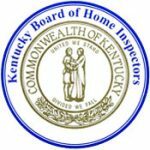 Professionally, Robb serves as the Vice Chairman on the KBHI (Kentucky Board of Home Inspectors) and is a member of the InterNational Association of Certified Home Inspectors (InterNACHI), a member of the Kentucky Real Estate Inspectors Association (KREIA), and a local affiliate member of the Greater Louisville Board of Realtors (GLAR). Robb is an instructor for the Greater Louisville Association of Realtors, teaching a continuing education course to real estate agents regarding the laws and regulations around home inspections. Robb is a Certified Measurement Specialist by the National Radon Safety Board (NRSB), and is accredited by the Better Business Bureau. Robb is a life-long resident of Louisville. He graduated from St. Xavier High School and continued his Business Administration studies at Bellarmine University. Sharon, has been in Louisville since graduating from the University of Kentucky after receiving her BA in Business Administration and Marketing. She has been recognized by the Greater Louisville WCR (Women’s Council of Realtors) as Affiliate of the Year and Entrepreneur of the Year, volunteering with Fuller Center for Housing and Dress for Success programs here in the Louisville area. In their spare time, Robb and Sharon enjoy spending time with their children, Cooper and Lucy Elizabeth; volunteering with St. Agnes School and Saint Xavier High School, enjoying Falls City Soccer league, and renovating their 125-year old home in the Highlands.